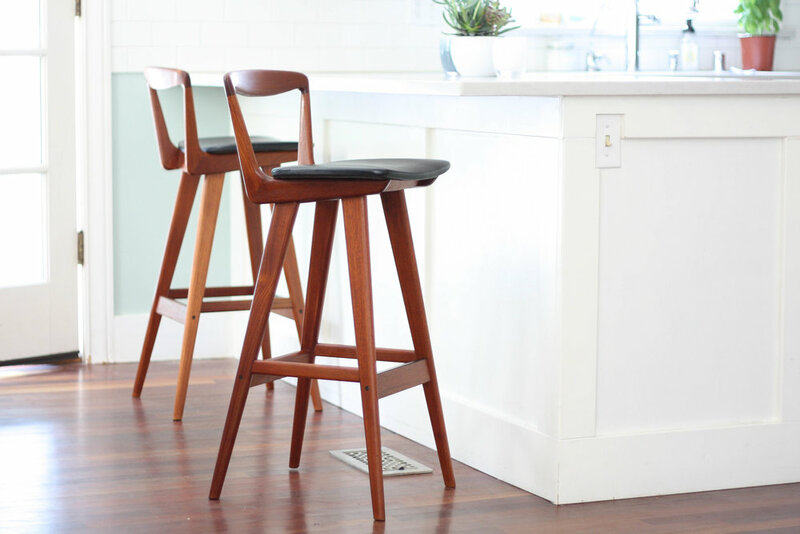 Check out this gorgeous set of bar stools designed by Henry Rosengren Hansen and manufactured by Brande Møbelindustri, Denmark and imported to the US via San Francisco. 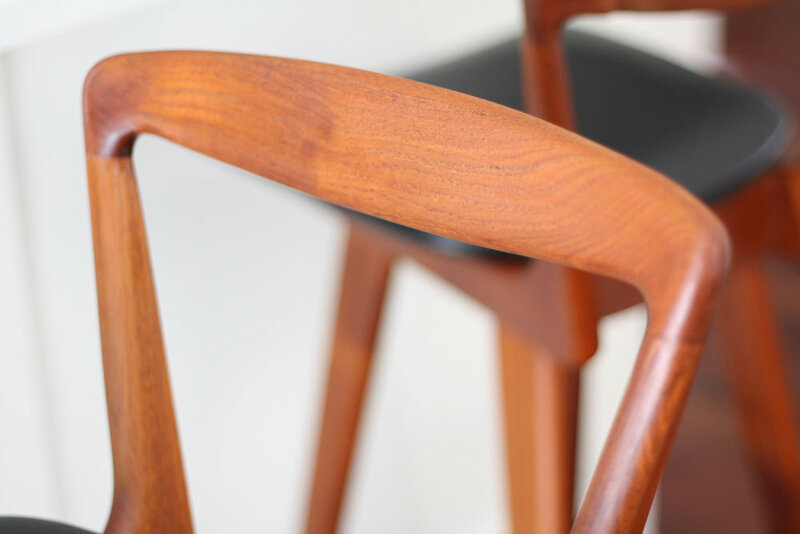 These stools have a solid teak wooden frame and their original black upholstered seats. These stools are very comfortable with the back rest, padded seat, and foot rest. And ya can't beat the stunning boomerang profile of the frame. Original paper label fully intact on one chair and an identical remnant of the tag on the other. Like all of our upholstered pieces these can also be newly upholstered to your wishes if you were hoping for a different color/material.